September brought the culmination of a Brisbane based project with PaCSIA facilitators Erica Rose Jeffery and Casey Crocket working in partnership with Ethnic Community Councils of Queensland (ECCQ) and Brisbane City Council (BCC) to create the Brisbane Women’s Forums for Culturally and Linguistically Diverse (CALD) Women of Brisbane. The theme for the forums was Growing Strong Together. The forums continued a 2015 project by ECCQ and BCC to enhance the community engagement for women in CALD communities. 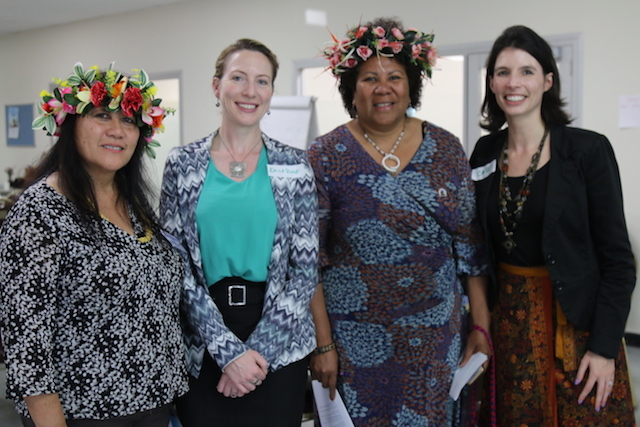 This project utilized ECCQ’s community health workers to consult with women from Arabic, Samoan, Spanish, Tamil, Sudanese and Vietnamese communities asking them about their strengths as well as the challenges in their communities. A project report was published in November 2015 outlining the challenges for CALD women in community engagement and recommendations to strengthen women’s roles in Brisbane community. The Brisbane Women’s Forums- Growing Strong Together were designed by PaCSIA to share and discuss the results of ECCQ’s report and to deepen the conversation around challenges and next steps ECCQ and BCC might take. Casey and Erica Rose used the Community Café Dialogues method to help create safe spaces for women to connect and discuss the outcomes of the research. 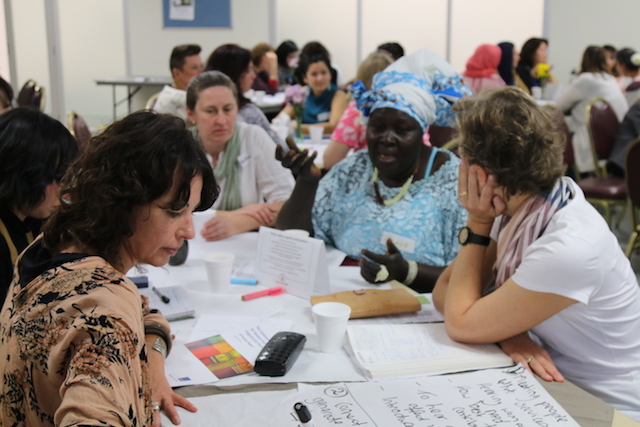 The goals of the Brisbane Women’s Forums were to share information from the project, celebrate women in the communities, deepen discussion, and to build connections with other women. The women only forums were held at two different locations to ensure easy access and participation for the CALD women of Brisbane. The first Brisbane Women’s Forum took place on the 5th of September at Acacia Ridge Community Hall. 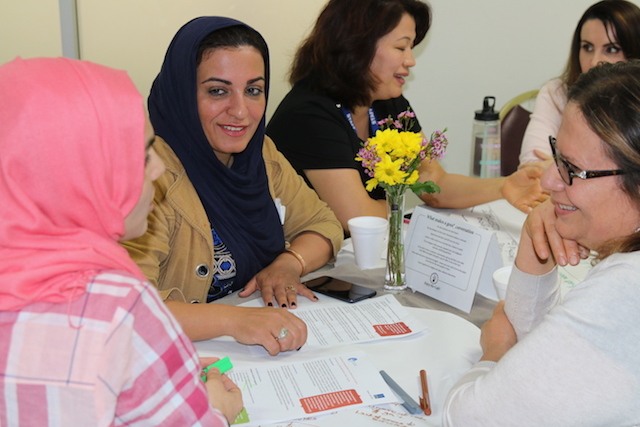 There were over sixty participants from various communities including South Sudanese, Indian, Pacific Islander, Vietnamese, Korean, Arabic and Spanish speaking backgrounds. The second Brisbane Women’s Forum held at Zillmere PCYC on 6th September. About forty women from Iraq, Iran, Vietnam, the Pacific Islands, South America and other communities joined in the conversation. Service providers such as MDA, Red Cross and other community organisations were invited along to participate in the forums and engage with women from CALD backgrounds. At both forums participants had the chance to hear about the research that was conducted by ECCQ and discuss the outcomes. Women told their stories of strength and had the chance to share about resources they currently access in their communities and how they connect with service providers. An important part of the Brisbane Women’s forum was asking women to help further the outcomes of the report and to contribute their ideas and energy to the next phase in the project. Women developed and explored ideas that they found important to strengthen them and their communities. Ideas ranged from seeking further support regarding education, parenting tools and jobs to health, exercise and relaxation options. The Brisbane Women’s Forums were an initiative between ECCQ and BCC and the outcomes will help inform the next stage of their Community Engagement Project with Women from Culturally and Linguistically Diverse Backgrounds.